Do you like to travel a lot? Do you also have a mobility scooter? Are you worried that you won’t be able to travel with your scooter? If so, it’s a good idea to look into the various mobility scooters on the market so you can find one that brings you comfort while traveling. No one wants to be confined to their home, especially if you’re used to being out and about all the time. Here is a list of features you need to find when looking for the best mobility scooter for traveling. One of the features to look for before buying a traveling mobility scooter is the comfort level. You want to be comfortable when riding a scooter on vacation or around town. If you sit for too long on the scooter and get uncomfortable, it will not serve you well when traveling. The comfort level needs to be perfect for you and your body. Is the seat padded enough to support you? Are there padded foot rests on the scooter? If so, make it a point to go for a test ride on this scooter. 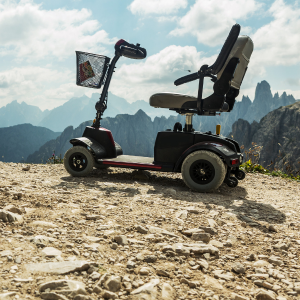 It’s also important to take a good look at the safety features offered by the mobility scooters you browse before traveling. It’s best to look for a scooter that has a third wheel, which will offer a lot of stability when turning. You also want to go with a scooter that covers the motor so there are no belts or other exposed parts, which could wind up hurting your hands or feet. It’s best to go with a mobility scooter that handles well on wet pavement so that you do not skid down the sidewalk or a hill when it rains. Does the mobility scooter you wish to purchase have any signals or lights on it? These are two important features that every person who uses a scooter should have. The lights are important to your safety so vehicles can see you crossing the street or on the sidewalk. Mobility scooters should also have signals so you can show drivers where you are turning. When it comes to traveling, you will want to take a mobility scooter with you that has a strong battery and a battery indicator. A strong battery would be any battery that holds a decent charge, meaning you won’t have to stop every two hours just to plug it in to improve the charge. A scooter with a battery indicator is also important. You will want to know when the battery charge is low so that you don’t wind up stuck somewhere with a scooter that won’t operate. 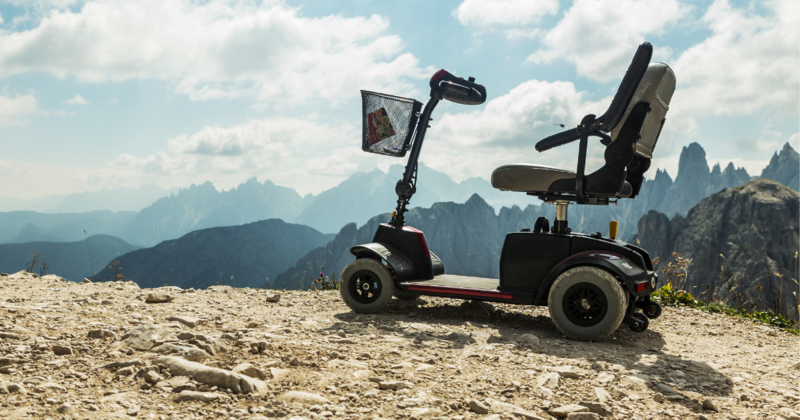 If you are planning a vacation for the upcoming spring or summer seasons, it’s time to pick a new mobility scooter. Call the experienced staff at Yellow Scooters to schedule an appointment or reserve your mobility scooter today. We can be reached at 1-855-274-3363. You can also complete the contact form and someone will reach out to you in a timely manner.